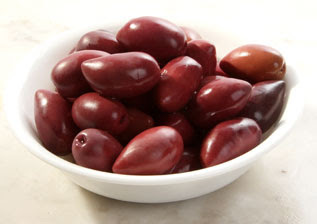 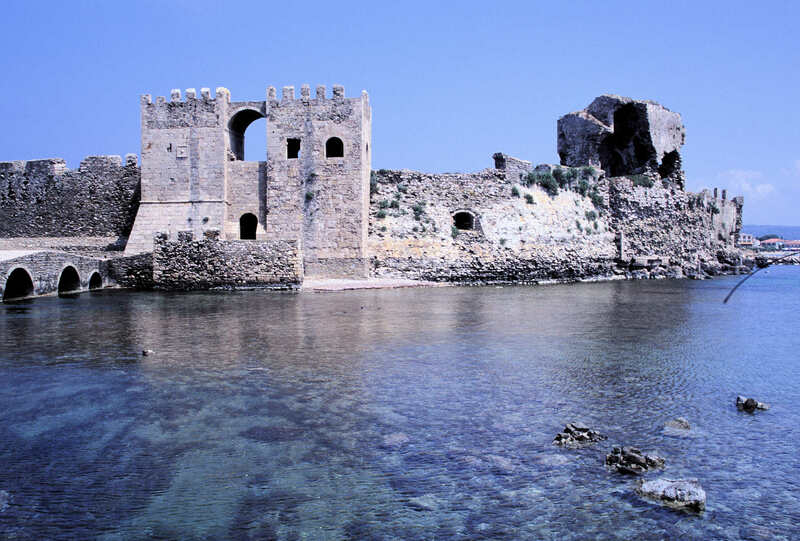 Kalamata is a medium-sized town sitting in a bay on the south side of the Peloponnese. 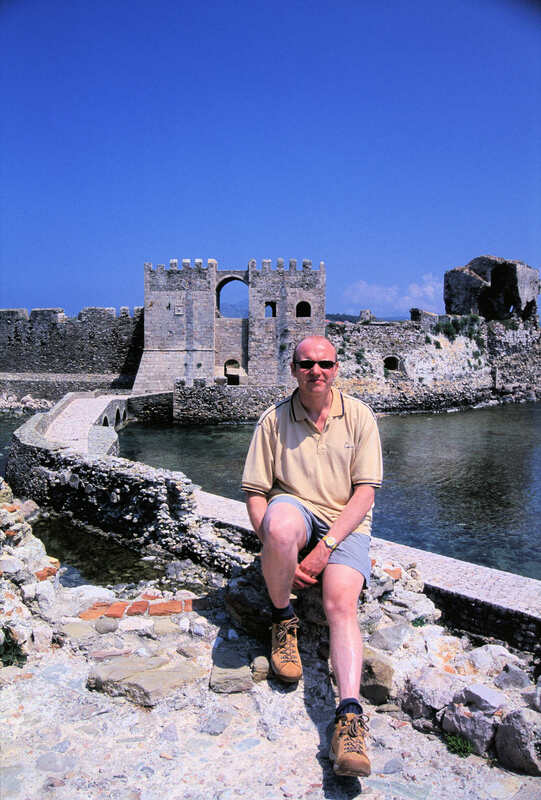 It is rather off the tourist track by coastal Greek standards, and so basks somewhat in the joys of being rather more Greek instead of international. 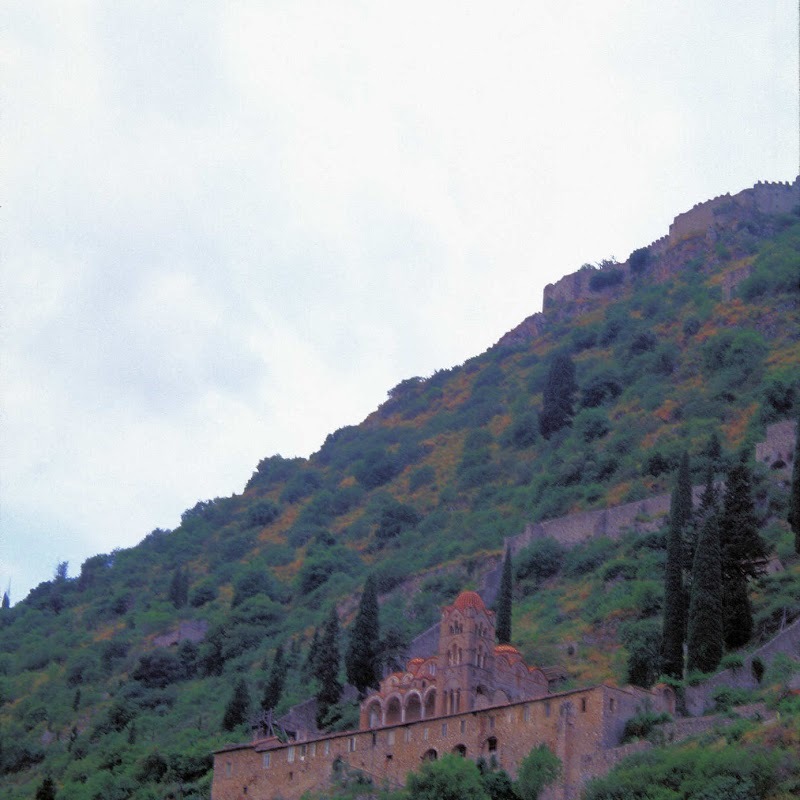 It was probably the least tourist-focused place on the trip. 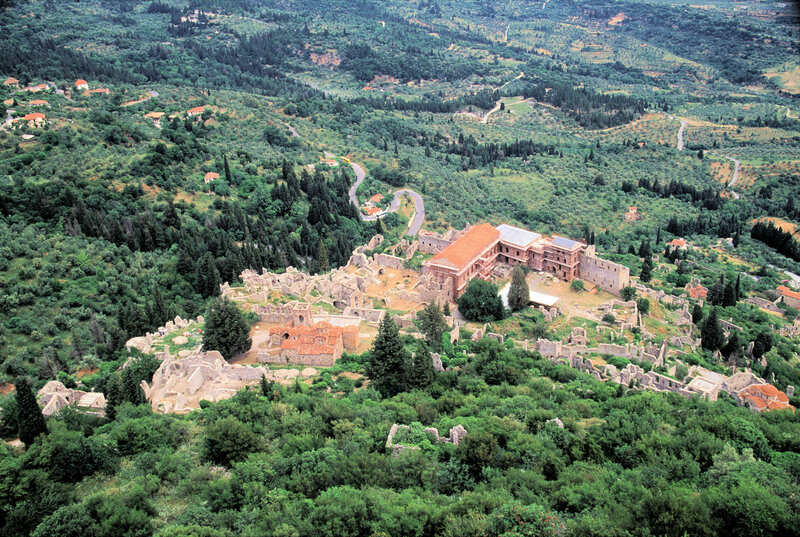 One result of the lack of tourists is that there’s a lack of touristy stuff nearby. 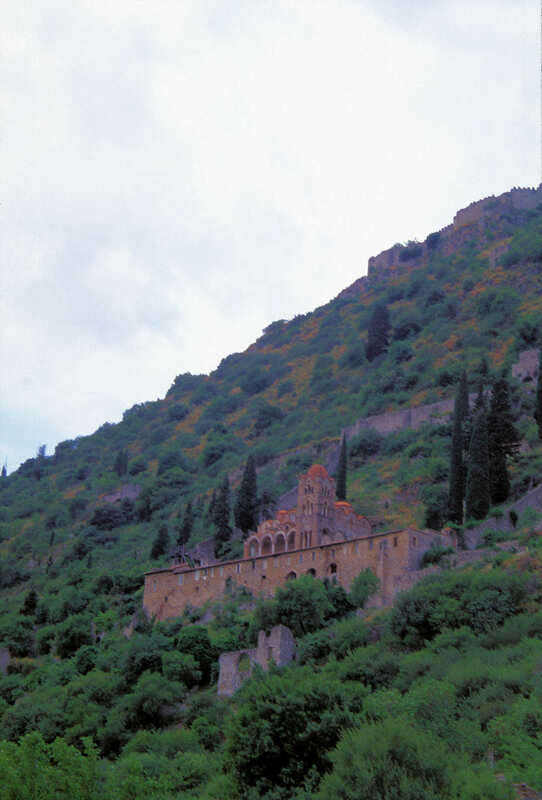 I think we booked in for two nights, which essentially meant we had one full day to explore the area. 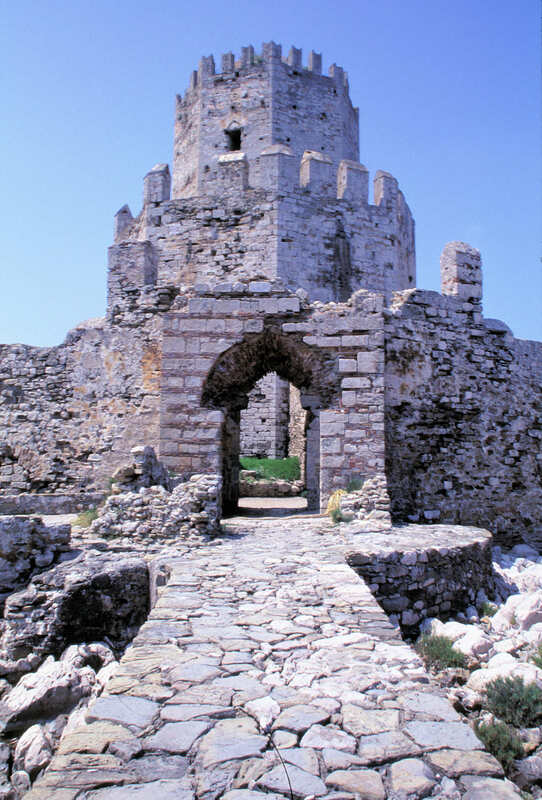 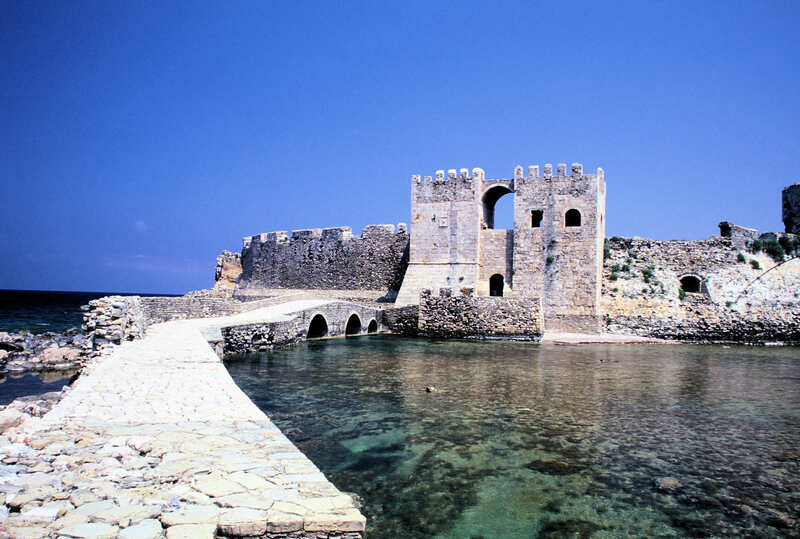 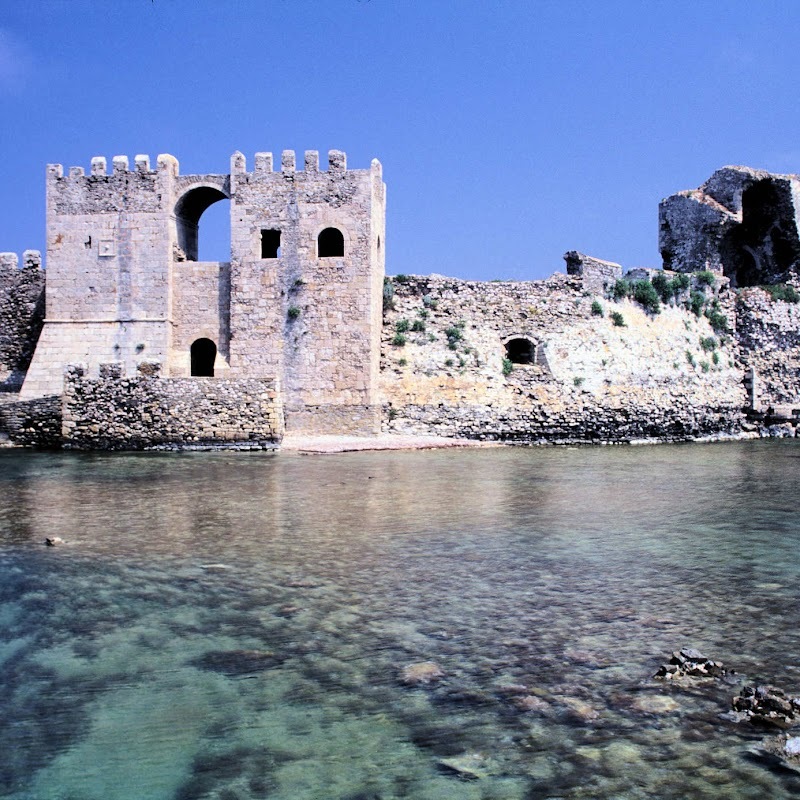 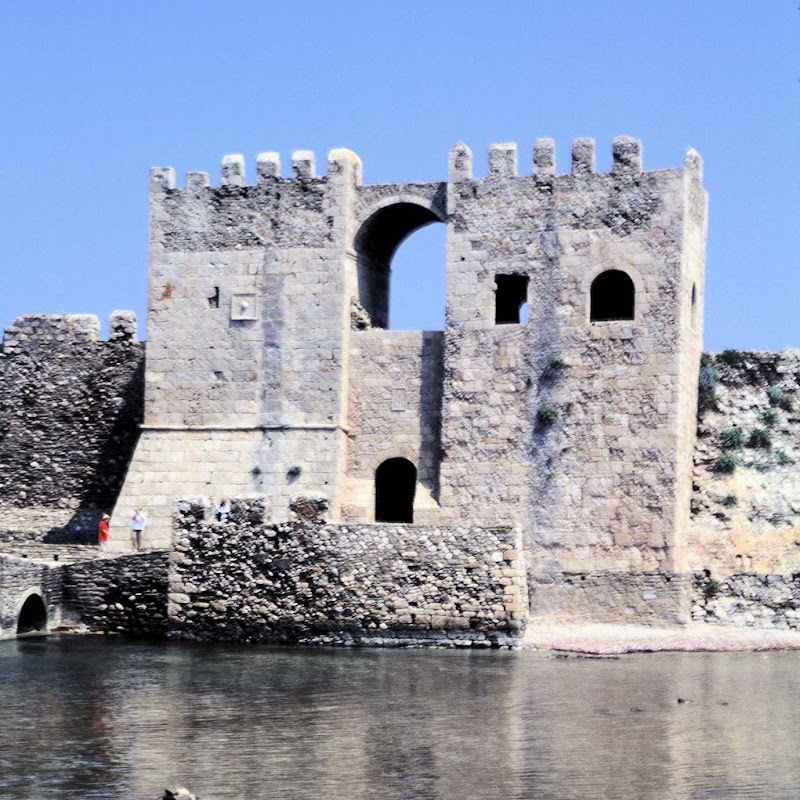 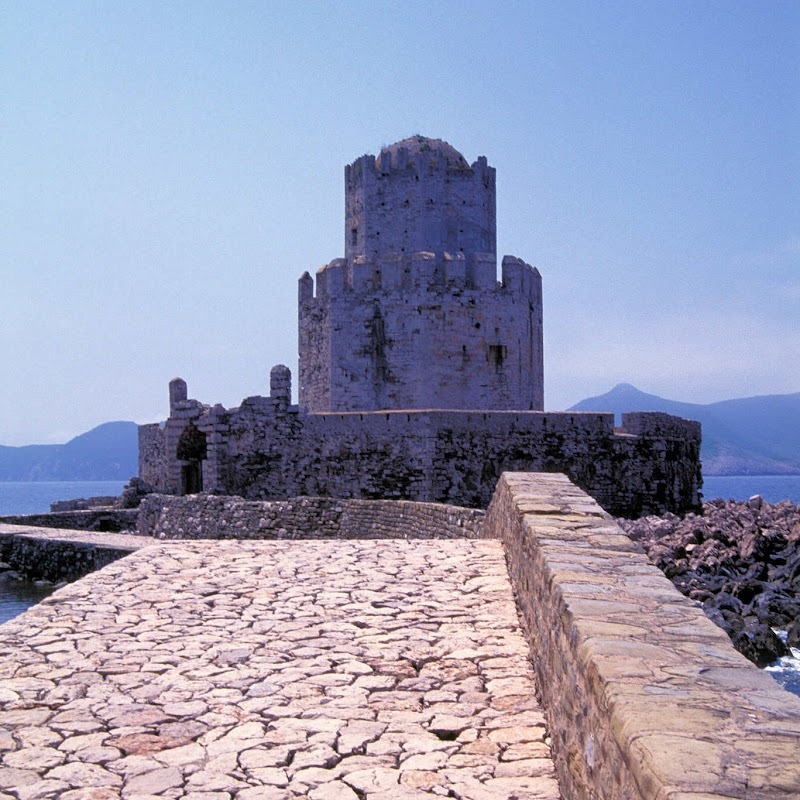 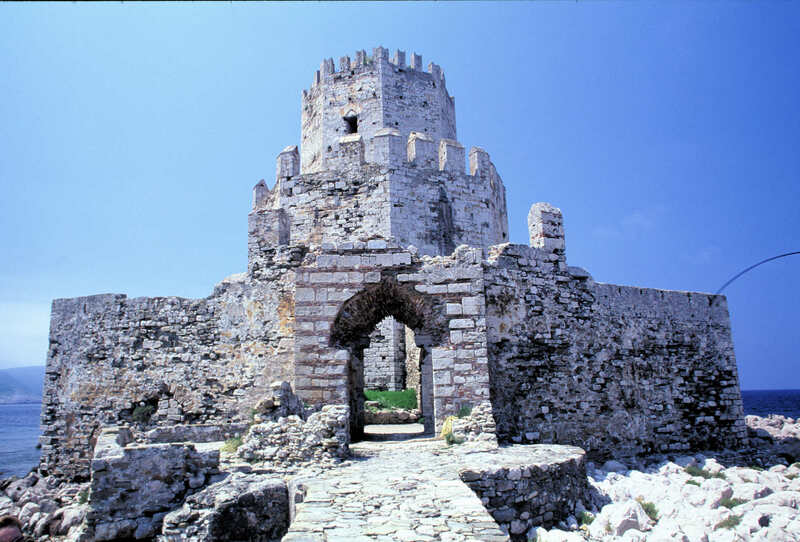 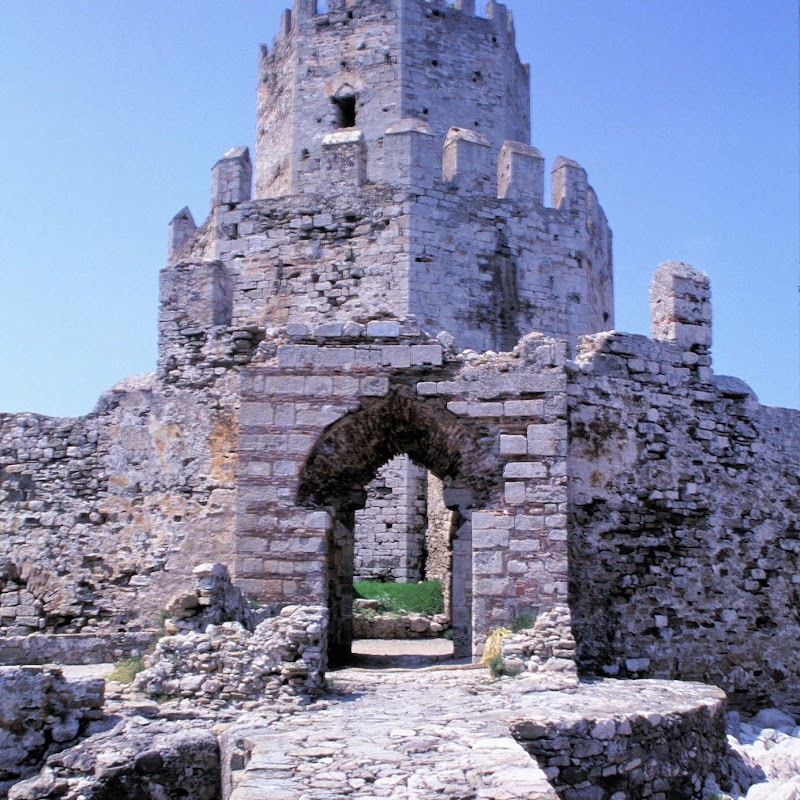 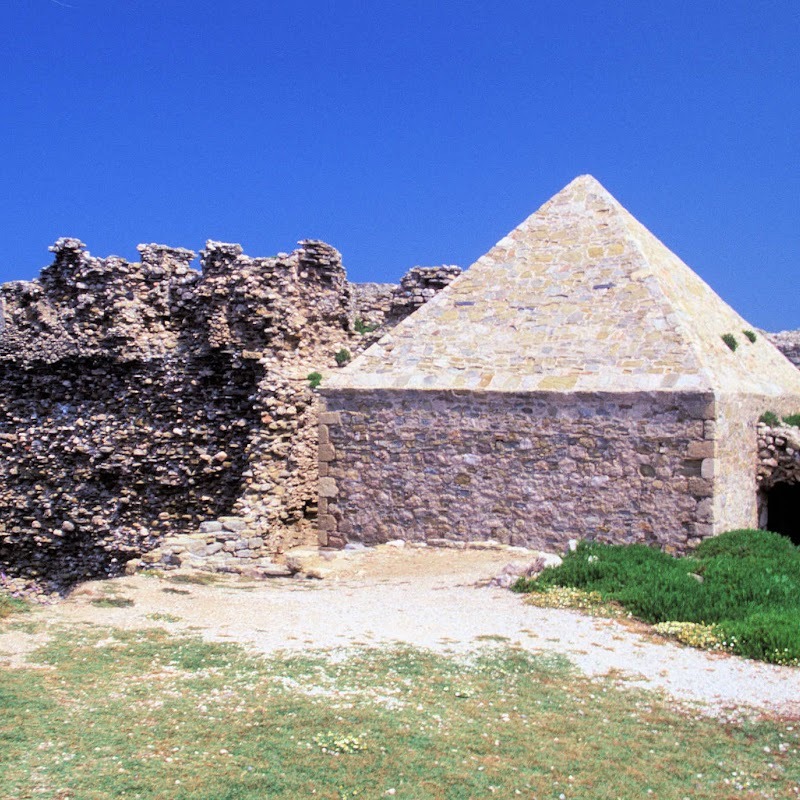 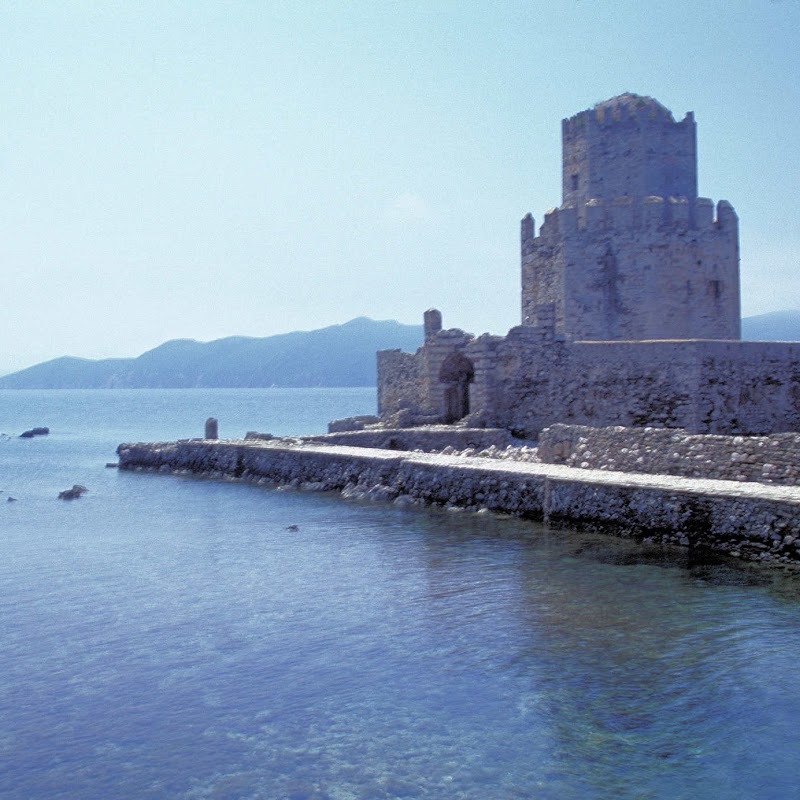 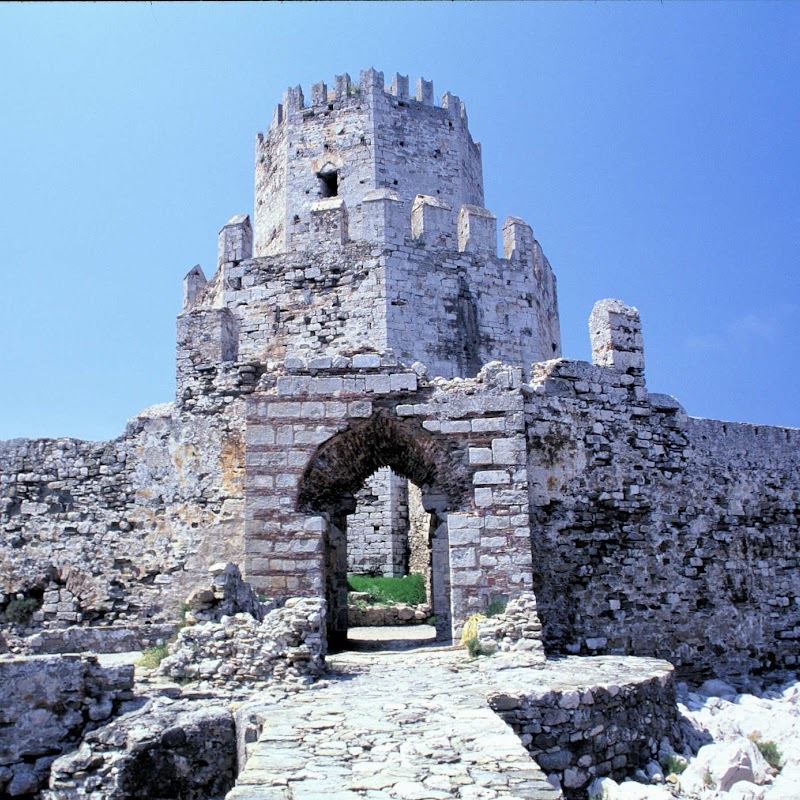 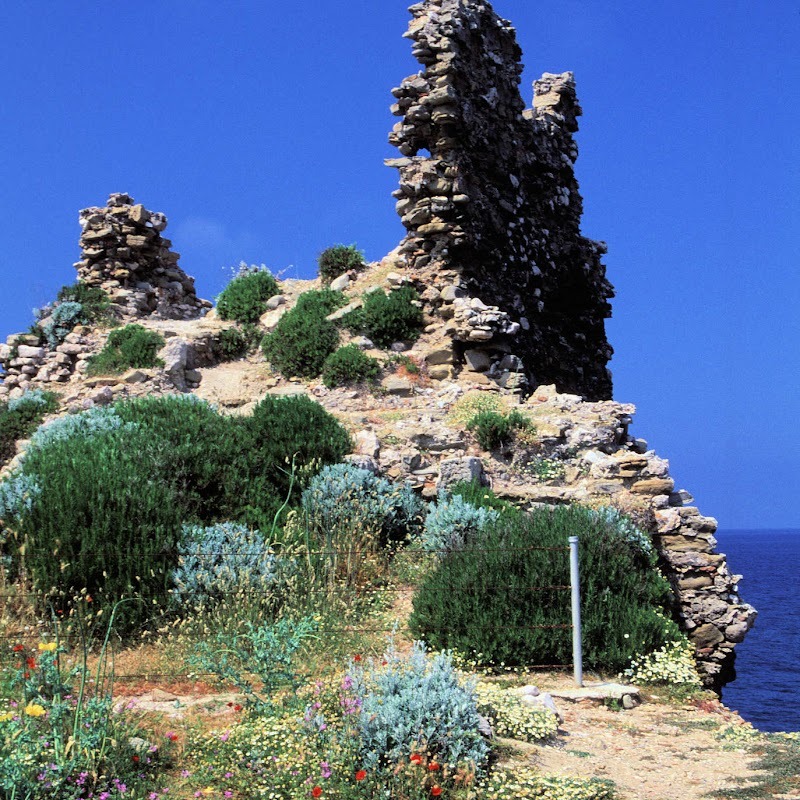 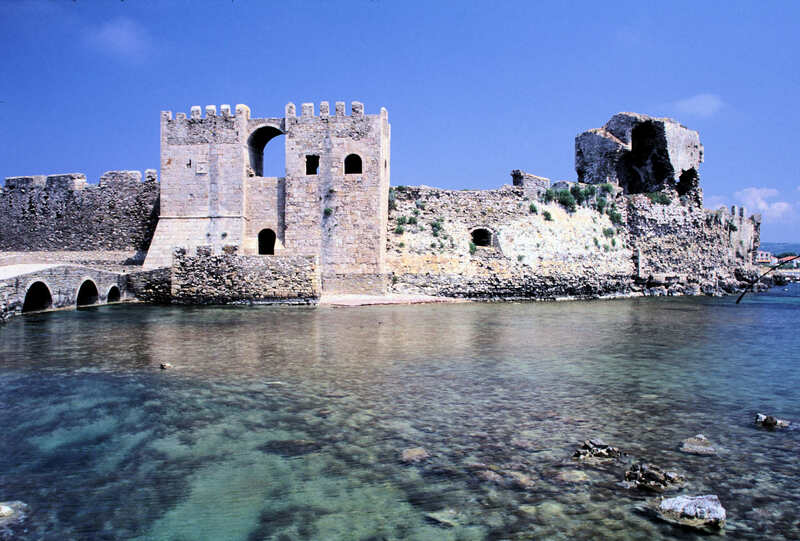 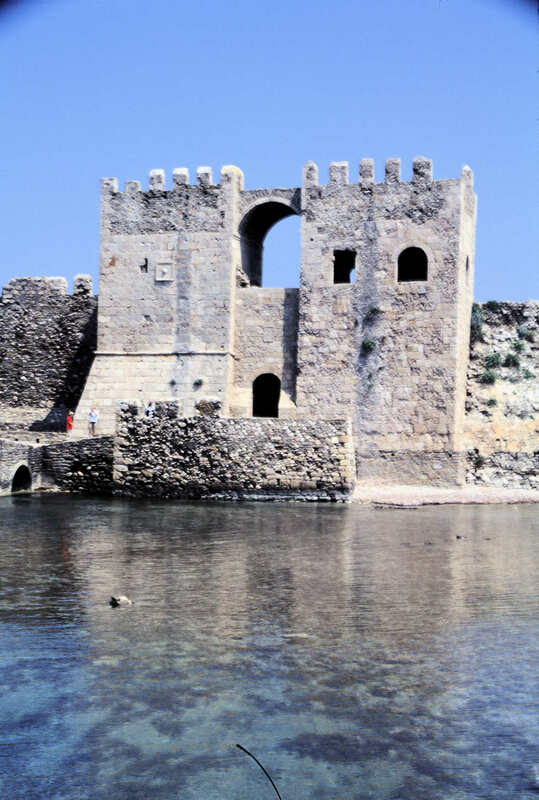 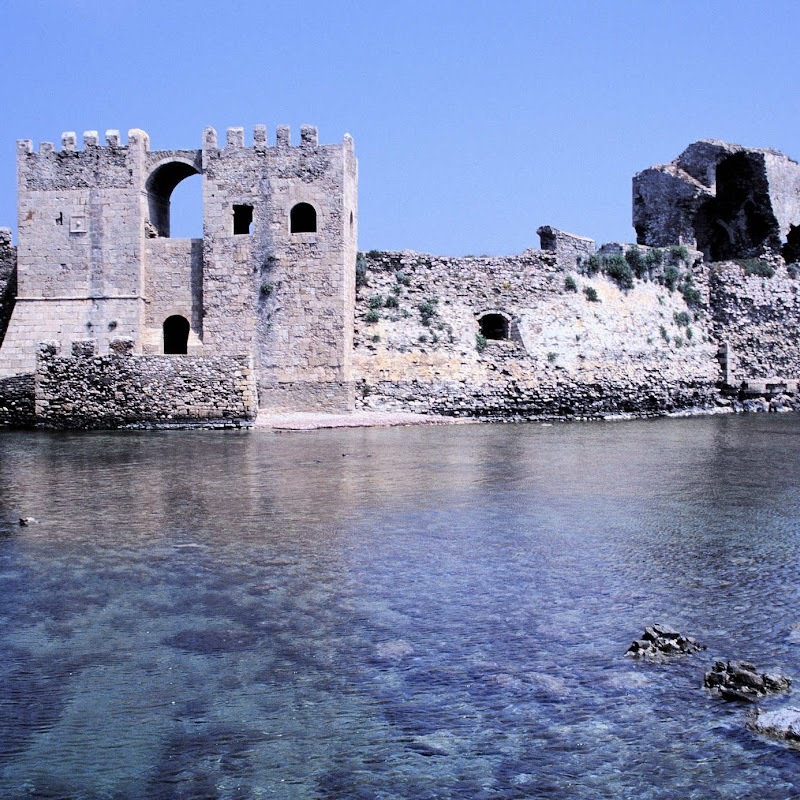 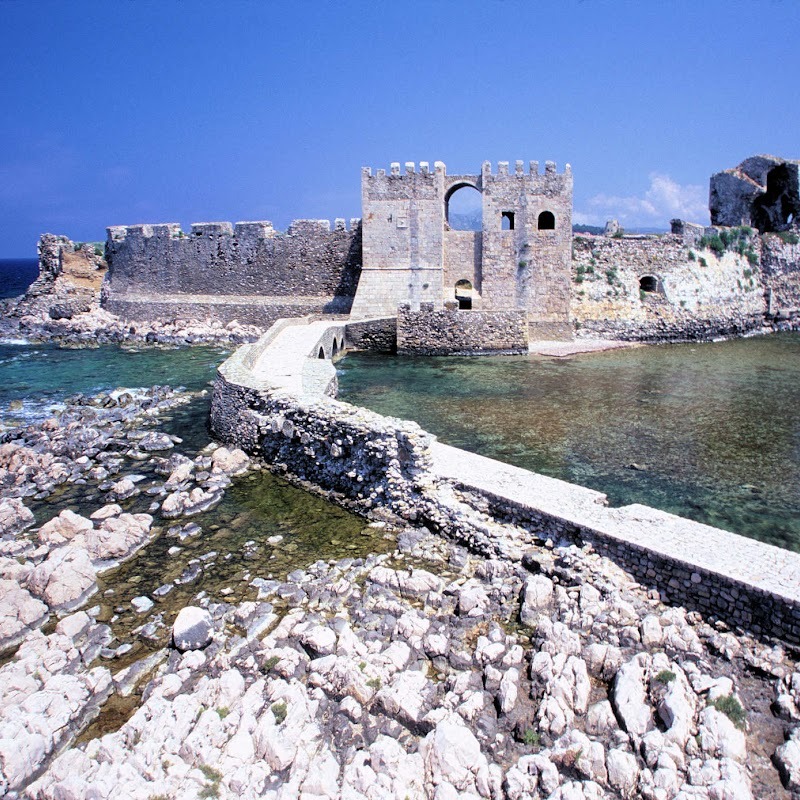 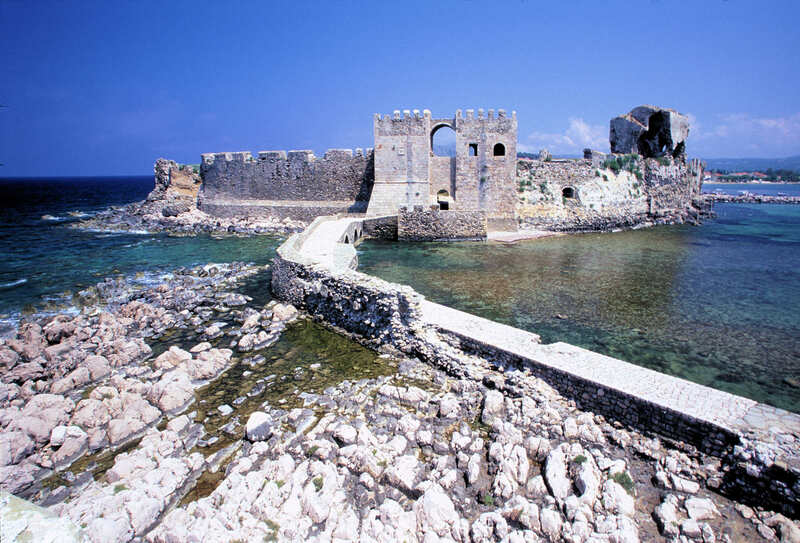 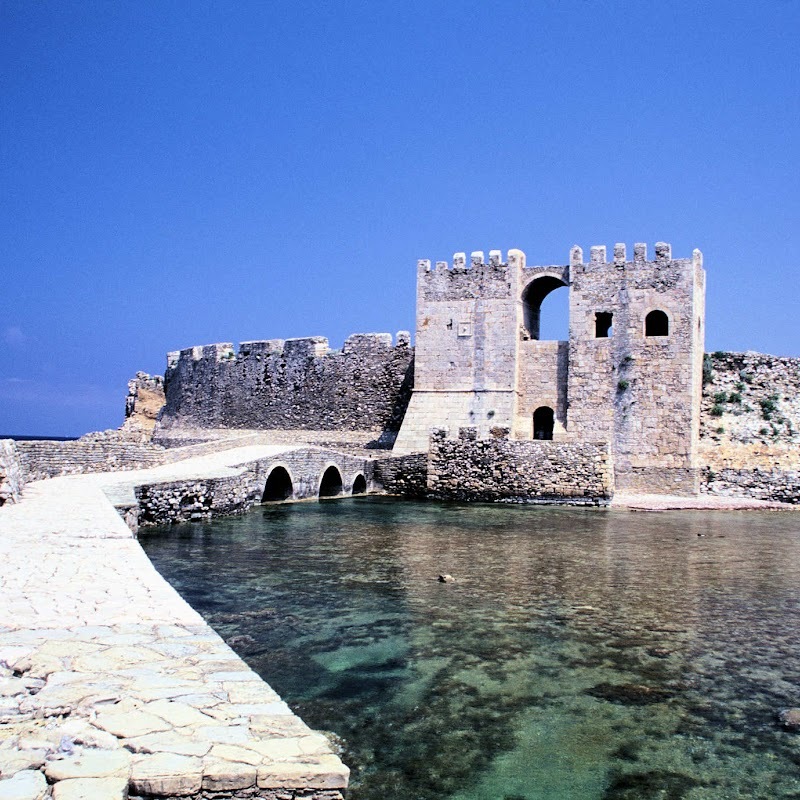 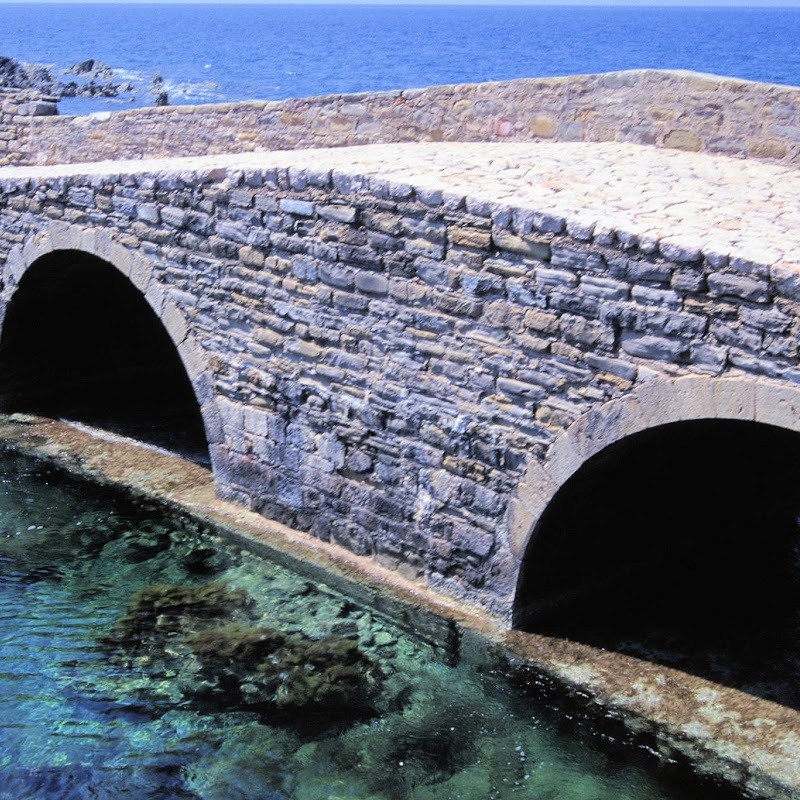 We chose to drive over the “finger” of the peninsular to Methoni, a small town on the west facing (i.e. 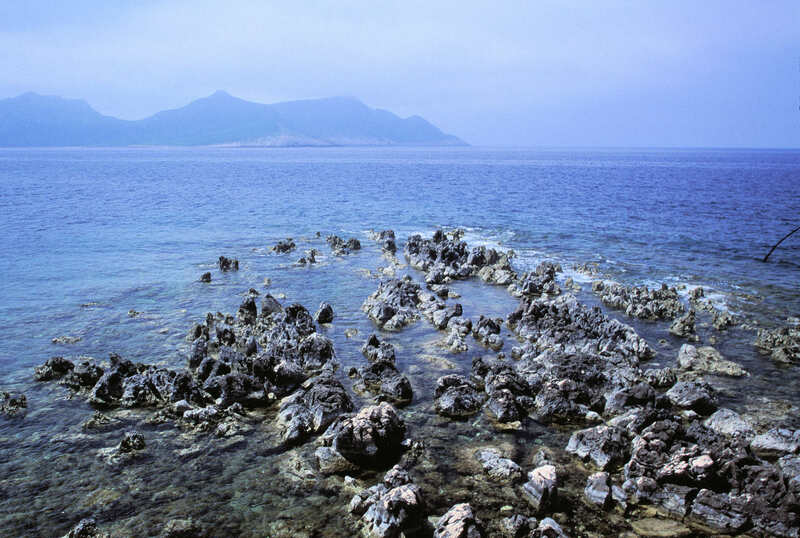 the Adriatic) coast, although having checked the map it seems it’s the Ionian Sea this far south. 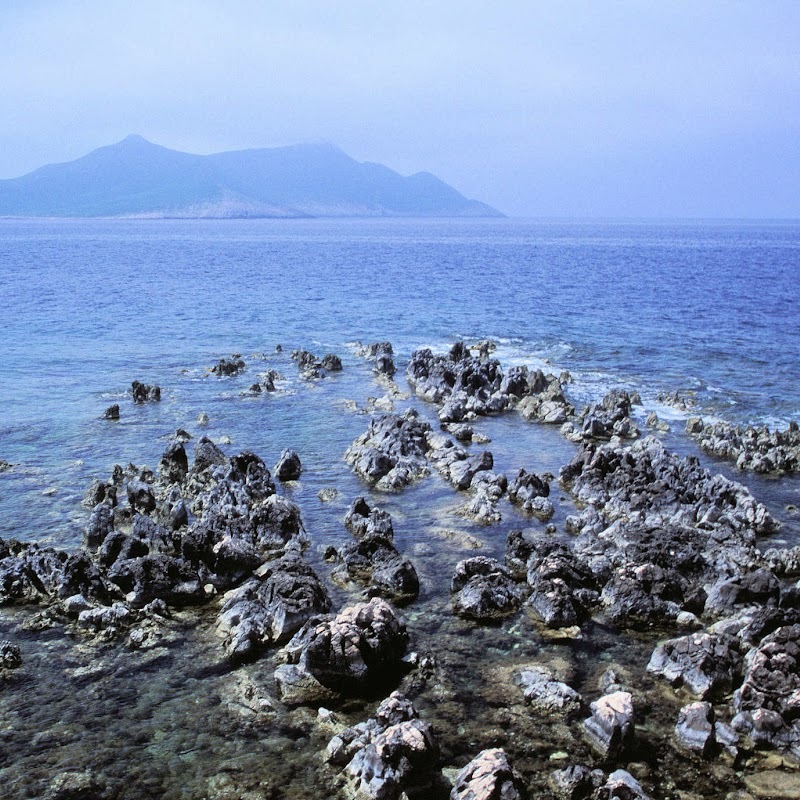 Life is just a big geography lesson ! 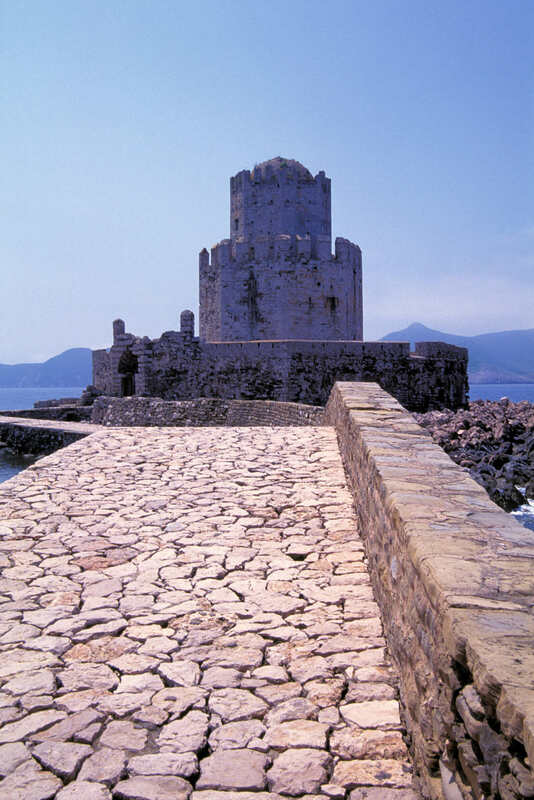 Anyway, back at the plot, Methoni’s main tourist attraction is a rather fine castle, that’s a combination of influences but most strikingly Venetian. 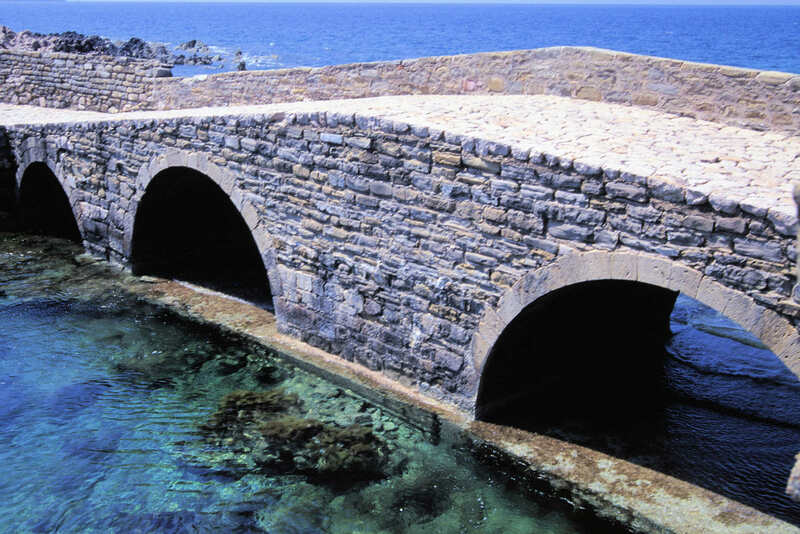 It has an excellent fortified bit stuck out on a little islet, which can only be reached by boat or by walking a narrow stone causeway. 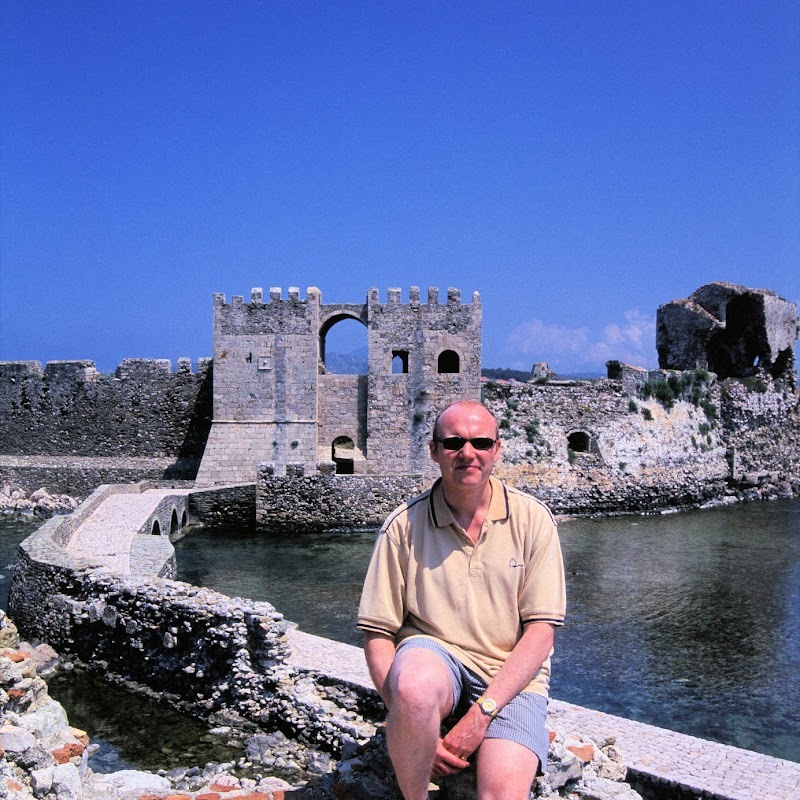 I remember it was a fiercely hot day when we were there, and after a bit of castling we were very ready for a sit down at a beachside cafe, which had a collection of banana plants growing in planting beds. 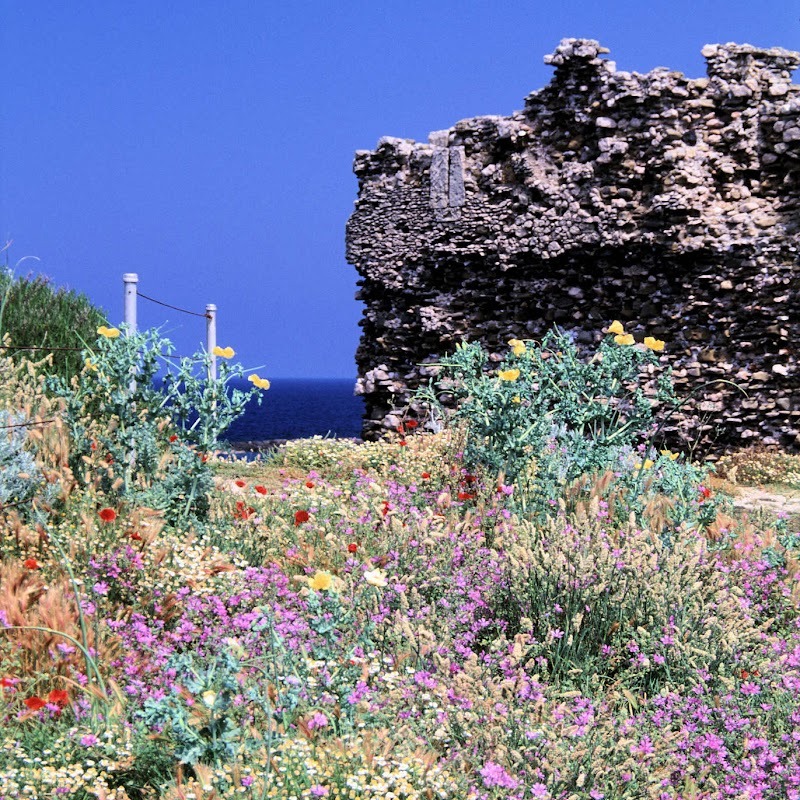 Some of the plants were fruiting. 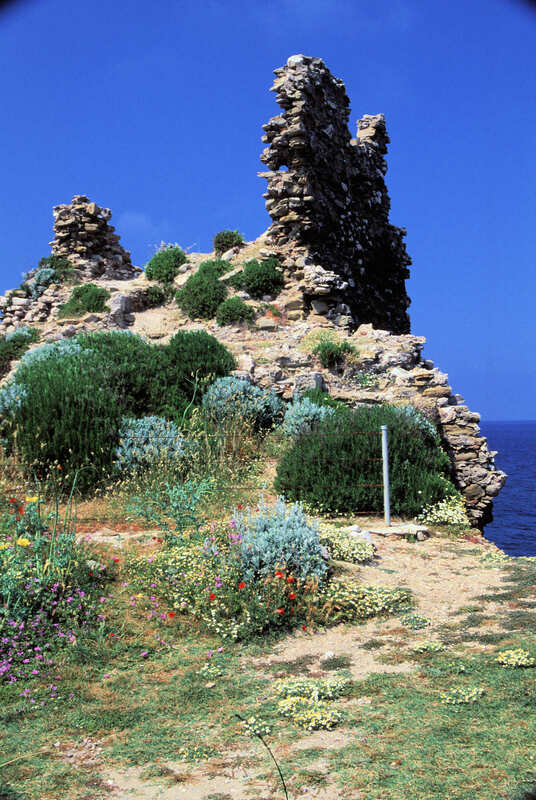 I’d never seen bananas actually growing on a plant before. 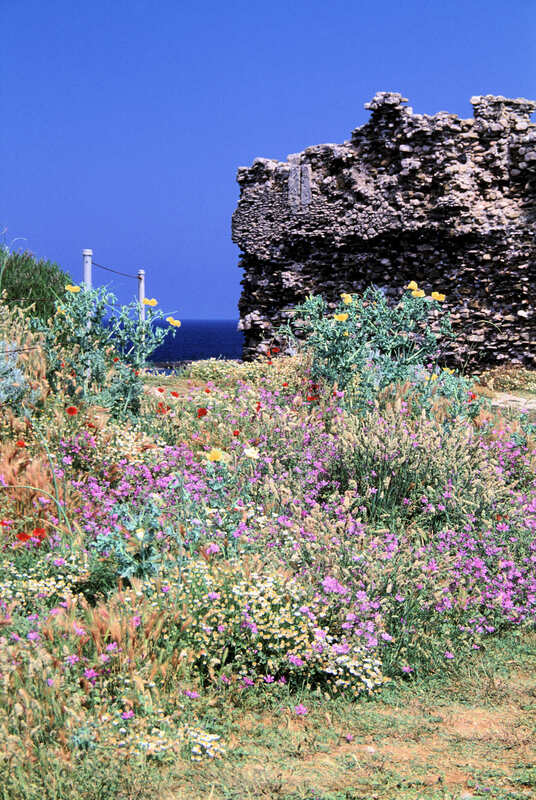 Technically speaking, by the way, bananas are berries, and the plants are enormous herbs. 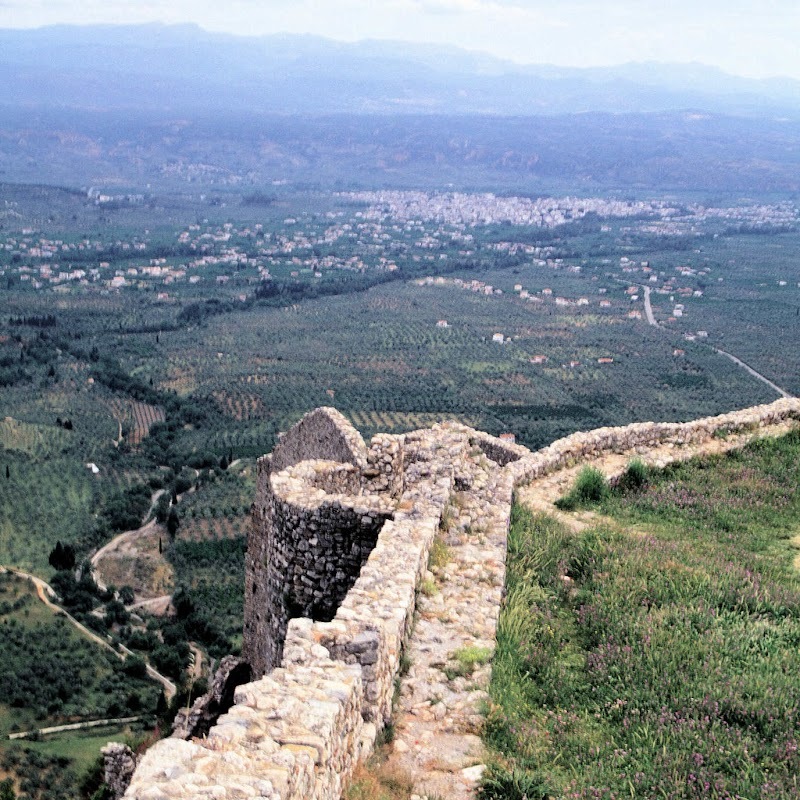 When we left Kalamata the following morning we had a longish drive up to Nafplio on the cards, driving right across the heart of the Peloponnese past Sparta. 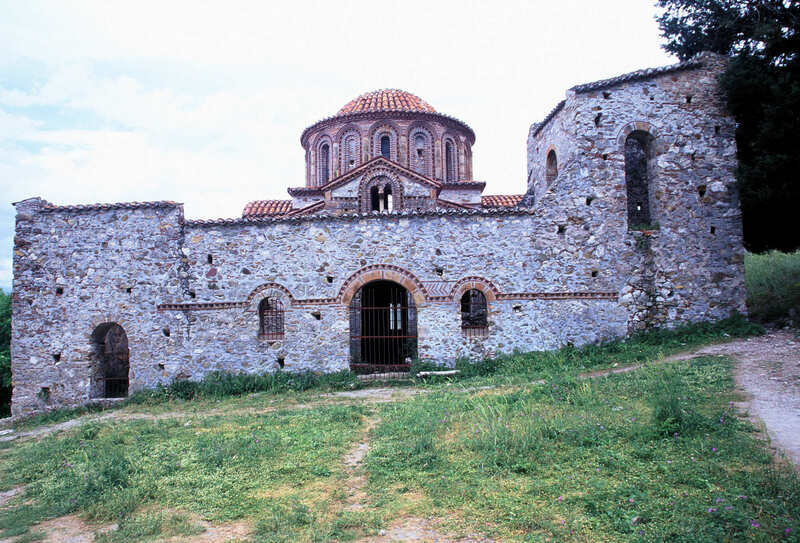 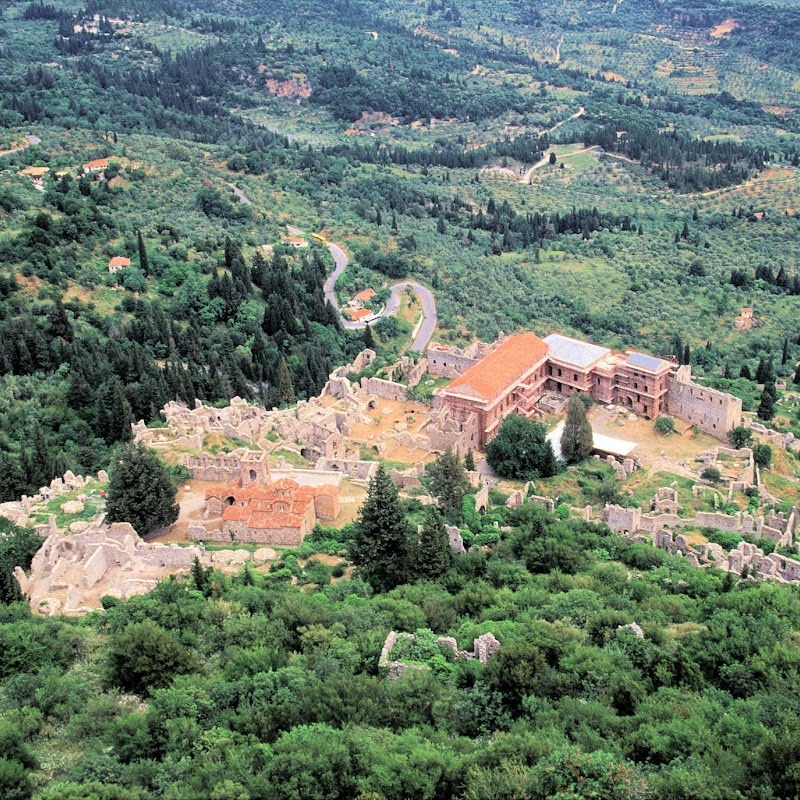 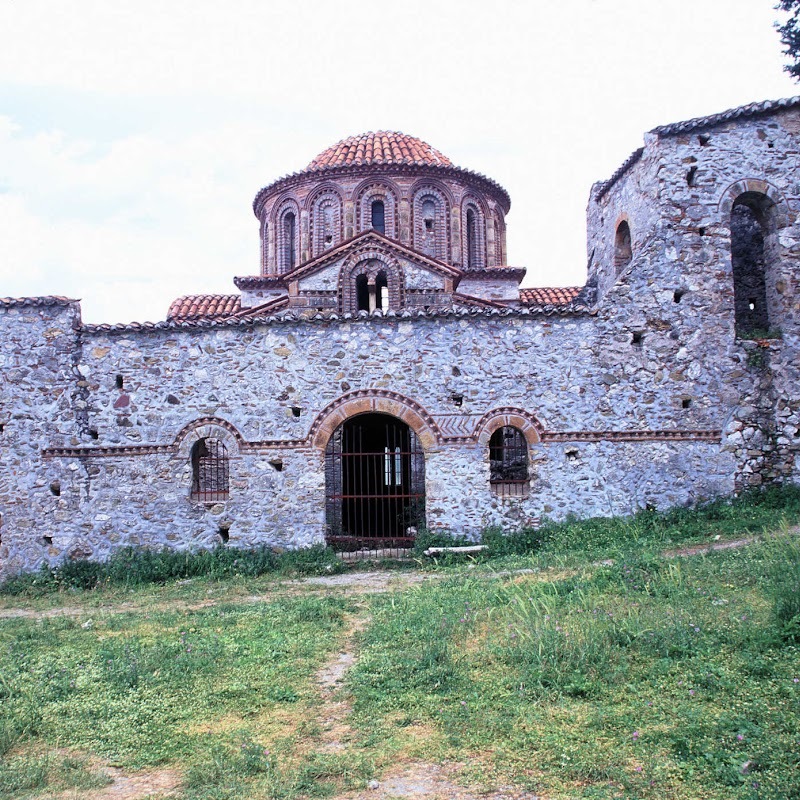 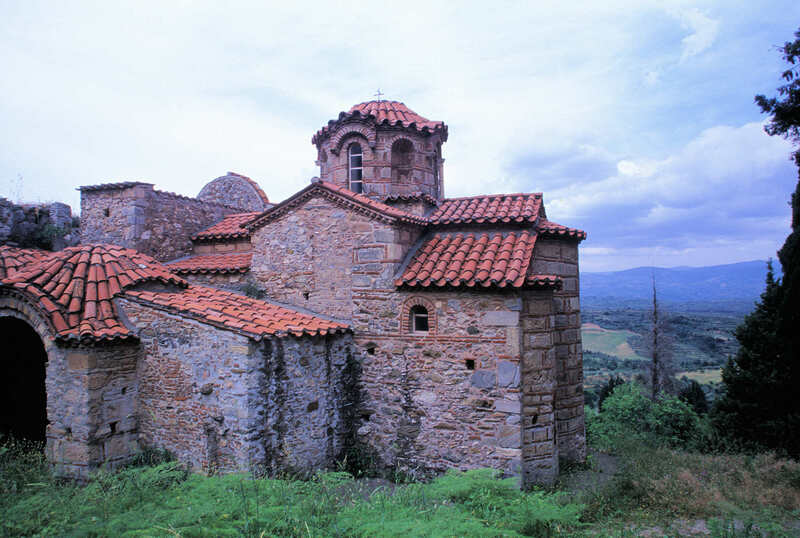 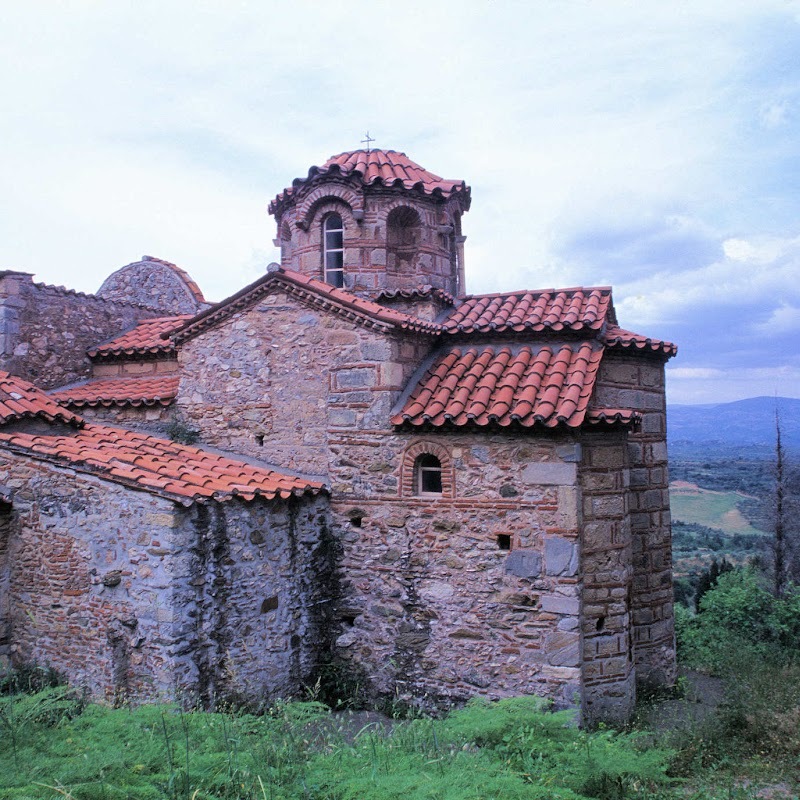 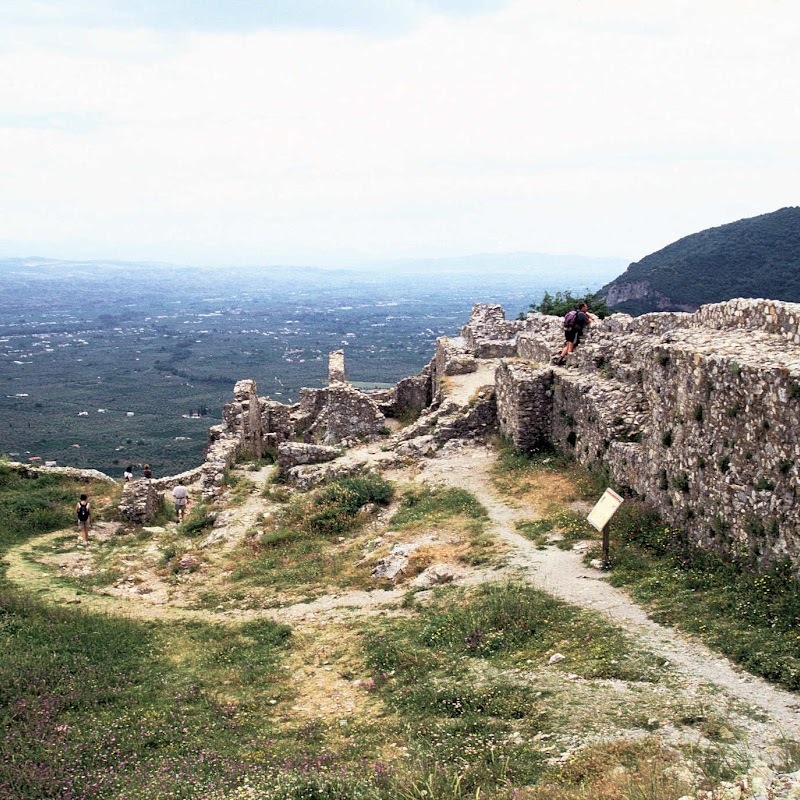 The route also took us past Mystras, an old fortified town which is a UNESCO World Heritage Site. 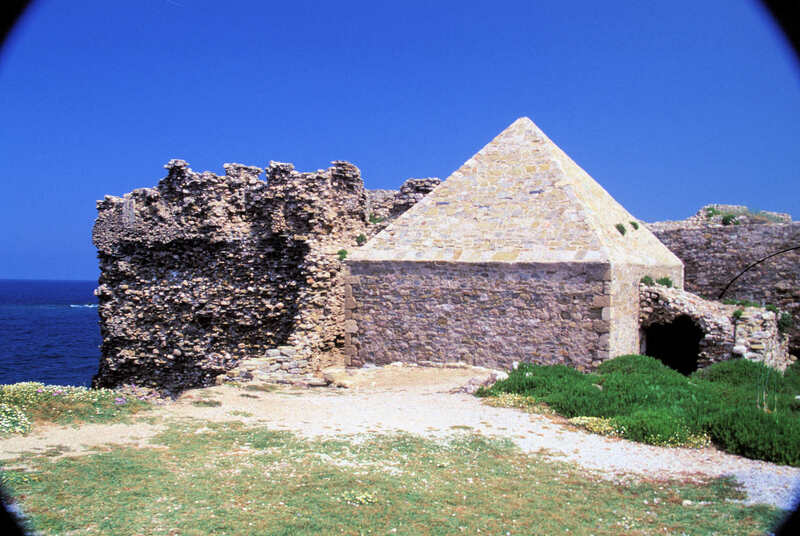 We thought it had to be worth a visit, so we went for a quick look. 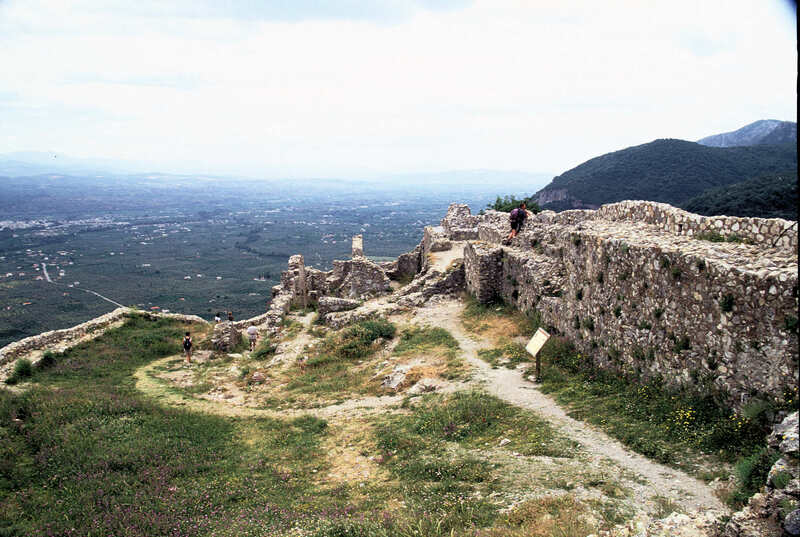 It’s a fairly spread out site with, shall we say, a rather vertiginous aspect. 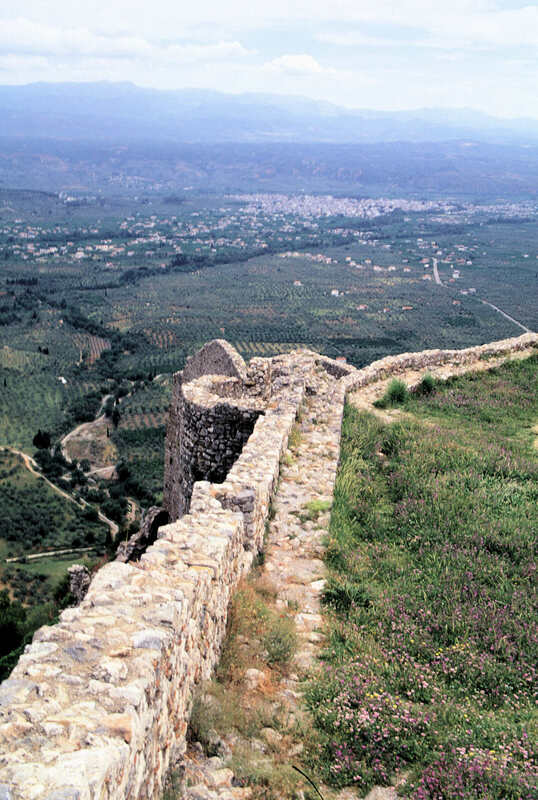 We managed to get quite high up before tiredness and time pressure got the better of us, soit was a worthwhile stop over to break up an otherwise long and quite slow drive.